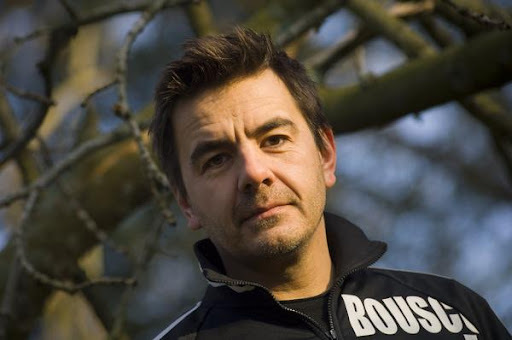 Laurent Garnier (also known as Choice), (born 1 February 1966, Boulogne-sur-Seine, France) is a Frenchtechno musicproducer and DJ. Garnier began DJ-ing in Manchester during the late 1980s. By the following decade, he had a broad stylistic range, able to span deep house, Detroit techno, trance and jazz. He added production work to his schedule in the early 1990s, and recorded several albums. During the late 1970s, Garnier discovered clubbing with his brother in Paris, where his family lived. He loved disco but also listened to all other contemporary musical genres including reggae, funk, and punk. At the age of 16, Garnier had started recording and mixing music on tape recorders. In 1984, Garnier started working as a waiter for the French Embassy in London. He stayed there for a year and a half before moving to Manchester in 1986. Living in England he discovered the booming UK house scene and started DJing. in 1987, he discovered the The Haçienda in Manchester, and met Mike Pickering the resident DJ. Chicago house and Detroit techno became popular, and Garnier started mixing there under the name of DJ Pedro. In 1988, he went back to France to fulfill his military obligations. He also spent some time in New York where he met Frankie Knuckles. Garnier shifted his attention back to France in the early 1990s, running the Wake Up parties at the Rex Club in Paris for three years, while in 1992 he played a three-night long Weekender set at the Cork venue, Sir Henry's. He also mixed in clubs such as le Palace or le Boy, DJing in rave parties and gradually moving into recording as well. For the FNAC label, Garnier released "French Connection" and the A Bout de SouffleEP. After that label went out of business, he formed the F Communications label with Eric Morand (a friend who had also worked for FNAC). He often also DJed at "Open all hours" at London's Ministry of Sound on Friday nights, in the early and mid 1990s, and was a resident at The End before its closure in January 2009.His first album, Shot in the Dark, was released in 1995. His second, 30, appeared in 1997 and included one of Garnier's best selling singles, "Crispy Bacon". 30 was followed by the retrospective Early Works. After appearing worldwide with DJ appearances during the late 1990s, Garnier returned to production with Unreasonable Behaviour, released in early 2000, which featured one of his best known songs, "The Man with the Red Face". In 2005, The Cloud Making Machine, was released, followed the next year by Retrospective. This was a best ofcompilation album, which had both his original work and remixes, including some released on vinyl-only, plus rare tracks. His latest album was Tales of a Kleptomaniac (2009). Garnier has collaborated with System 7, and played several live shows with Bugge Wesseltoft (those recordings appeared on Public Outburst and Retrospective).